I love the design of this wrapper. 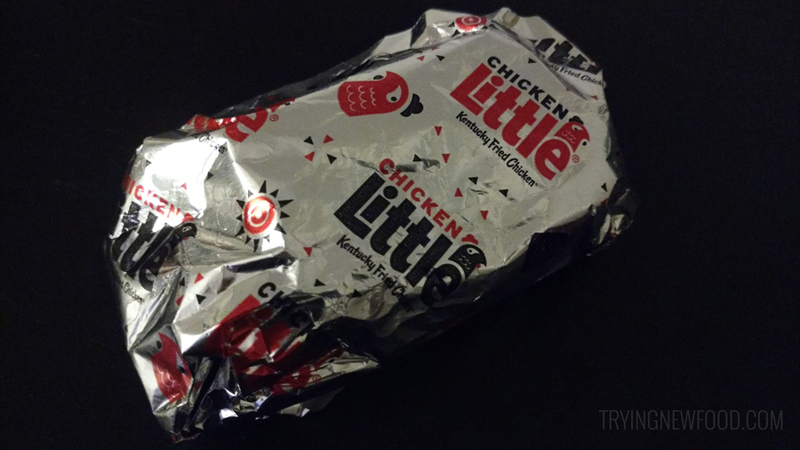 And the inside of the wrapper has an adorable pattern as well! As far as taste goes, it was okay. Not amazing, but if I’m ever at a KFC again and don’t feel too hungry, I’d order this. 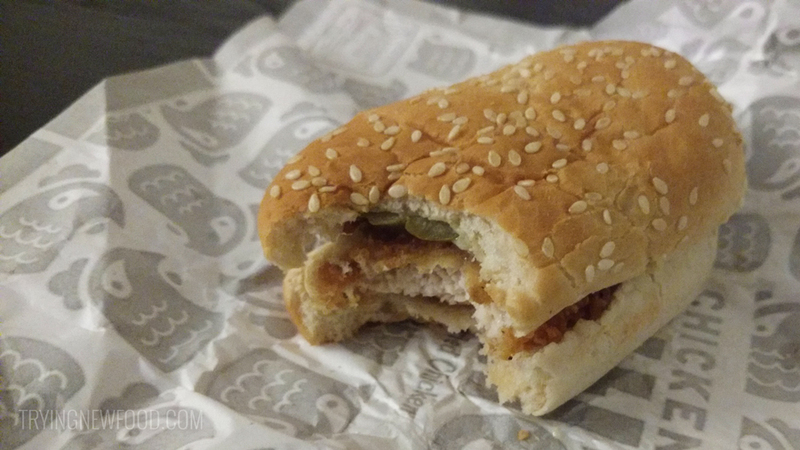 Crispy, flaky breading with two pickles on top with a decent amount of mayo between an average sesame seed bun. It is 310 calories, which is more than I expected for such a small amount of food. You can also get two in a $5 Fill Up with mashed potatoes and gravy, a medium drink, and a cookie.